Too many animals have nowhere to go. 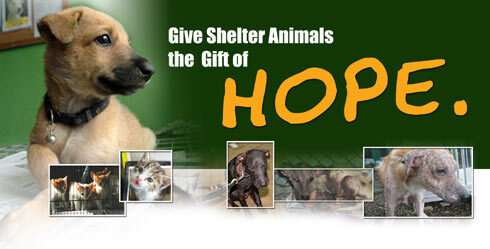 Every year, the PAWS Animal Rehabilitation Center cares for over 500 dogs and cats rescued from cruelty and neglect. We provide food, shelter and as much love and attention as possible for those animals who come into our care and we do our best to find them loving, permanent homes. The cost of rescuing, treating and rehabilitating animals will be too much for a small struggling shelter if not for he help of supporters and donors. PAWS is a private, non-profit, volunteer organization which receives no funding from the government nor from any international organization for the operational costs of running its shelter. You can help shelter animals by choosing to contribute funding for food, vaccination, spay and neuter, healthcare or maintenance of the shelter. We’re not just about sheltering and helping animals in distress today. Help us make a difference in the future of animal welfare in the country. Help our Humane Education fund. We conduct humane education in local schools. We believe that by teaching kids kindness to animals, we’re helping build a more compassionate society. Help us lobby and campaign for laws that will benefit animals in the future. Although PAWS pioneered the campaign for animal welfare in the Philippines and was successful into getting the ANIMAL WELFARE ACT into a national law, change doesn’t happen overnight. It takes time, patience and a lot of information dissemination for our advocacy to be heard and the laws to be implemented. PAWS has campaigned intensively against dolphin shows and other wild animals being used for entertainment, and we were also the first to file a Court Case against the cruel practice of dog fights. Aside from this, we also look after the welfare of farm animals by lobbying for rules & regulations on the humane slaughter of livestock and by working with government agencies on issues involving animal health and public health. Donors are suggested to fax to PAWS (475-1688) or email supportpaws@paws.org.ph a copy of their validated deposit slip, unless they wish to remain anonymous. Paypal is the simplest and easiest way to donate online, you do not need to be a PayPal member. PayPal securely accepts credit card payments. You can help our shelter animals by choosing to make a monthly or quarterly contribution through Paypal. Paypal is the simplest and easiest way to donate online. You do not need to be a PayPal member. PayPal securely accepts credit card payments. Vaccines, medicine, surgical materials/equipment, pet vitamins which you think our shelter animals can use. DETERGENT POWDER and BLEACH to disinfect our animal areas. No matter how much and how often you give detergent powder, for as long as we have live animals in our shelter, we would always need it.